The past year has been an important period in the timeline of the data economy. 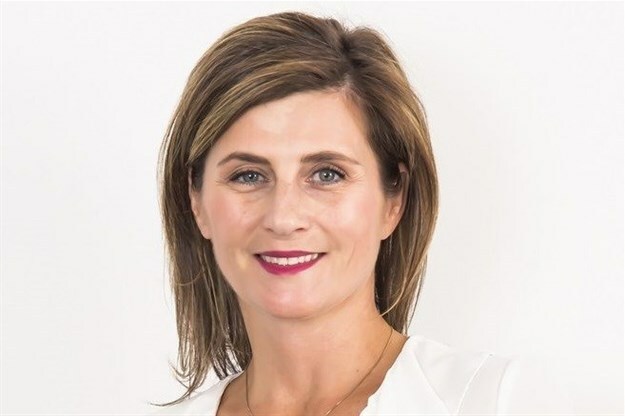 Kate Mollett is the regional manager for South Africa at Veeam. Momentum around the Protection of Personal Information Act (Popia) in South Africa and the introduction of the General Data Protection Regulation (GDPR) in Europe were notable, and then the Cambridge Analytica scandal wiped tens of billions of dollars off of Facebook’s market value. This doesn’t even include the other data breaches that have cost both local and international companies financially and reputationally. Given the spate of data breach scandals, companies must reconsider their strategies when it comes to data protection and regulatory compliance. Even if the reputational impact and financial damage are significant, some businesses appear not to take this seriously. Companies must do more to align their data management strategies with business innovation while also maintaining compliance. What many people forget, is that the root of Facebook’s Cambridge Analytica scandal is not simply the issue of data being used or shared, it is the misleading way in which all of this was happening. Measures driven by the likes of PoPIA and GDPR will add greater regulatory control by ensuring the availability of data to the appropriate local authorities. What will shape data privacy in the future? People and businesses rely on and broadly benefit from, the use and sharing of their data daily. The silver lining of the scandals that have plagued the world’s tech giants of late is the greater awareness of data’s significance to our everyday lives – and the accountability being demanded of companies that hold or process data as a result. With this, we can continue to build a digital economy that benefits everybody. A key component of a healthy market is competition. This is also impacting data localisation restrictions and its removal. For example, the EU Commission has specifically called for cloud providers to create codes of conduct for customers switching between cloud service providers, including clear deadlines. This should create greater flexibility and affordability in data services throughout the EU, while making it harder for businesses to become ‘locked’ into proprietary services. It is expected that this will accelerate the development of a Digital Single Market. According to EU estimates, the free flow of data could double the value of the data economy to 4% of GDP by 2020. This is if businesses can access the benefits that greater data availability can bring. But that means deploying intelligent governance and data management. As businesses look to transform their processes and operations to adapt to a digital-first world, the need to get a grip on their data is heightened. Regulations driven by Popia and the GDPR are instrumental in bringing businesses into line. However, most experts will tell you that the stipulations are essentially an extension (or hardening) of good business practice. Even though the sheer volume of data available today presents management challenges for business, there are also incredible opportunities. Data is more business-critical than ever before, but to access its value organisations must ensure that it is available across the network. By deploying intelligent data management, businesses can ensure that they are able to access and mine data for insights wherever it is needed. With availability solutions deployed, local businesses will be able to access the true benefits of data at all times. Take healthcare for example. It goes without saying that the importance of data availability is put into sharp focus when it becomes a matter of patient wellbeing – or even life and death. Healthcare should be setting a gold standard for how we move forward with digital transformation and innovation. There is simply too much at stake to have it any other way. However, this is just one example, and many businesses now rely on the availability of data. Data creation has doubled in size every two years in recent years, and by 2021 it is predicted that 28 billion devices will be connected to the internet and transmitting data. That will create $19 trillion of economic value, but also add to the current challenges businesses have specific to data management – how do they analyse and seek value from this data, how do they manage maintenance costs which have spiralled out of control for such large volumes of data, and where does their data reside, and who has access to it? As data-driven innovation continues to grow in significance around the globe and it continues to be the exponential influencer of the fourth industrial revolution, the new expectation in today’s modern business world is the next level of data availability, driven by intelligent data management. Data is of paramount importance for organisations and consumers’ lives and data loss is not an option. The freedom regulation brings will create new jobs, see further digital disruption of market incumbents in sectors as disparate as healthcare, manufacturing, local government, and telecoms, as data-led innovation increases, and ultimately generates economic growth across the world when the global economy can do with a much-needed boost. Kate Mollett is the regional manager for Africa at Veeam. Mollett has experience in working in both the vendor and partner ecosystems and is tasked with driving Veeam solutions to the next level in a hyper-available landscape.